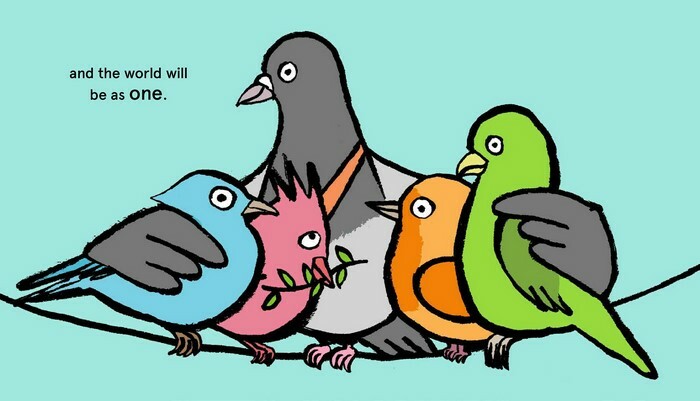 Join one little pigeon on her mission to spread the word of peace around the world. Set to the lyrics the iconic song Imagine, this book brings John Lennon's enduring message of peace and tolerance to a new generation. Join one little pigeon as she sets out on a journey to spread a message of tolerance around the world. Featuring the lyrics of John Lennon's iconic song and illustrations by the award-winning artist Jean Jullien, this poignant and timely picture book dares to imagine a world at peace. 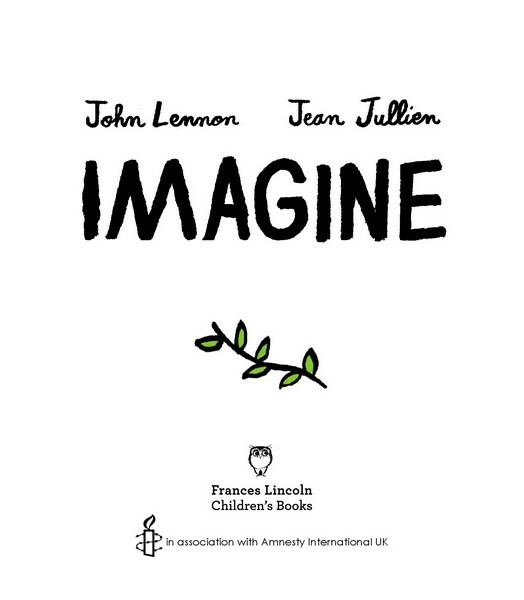 Imagine will be published in partnership with human rights organisation Amnesty International. 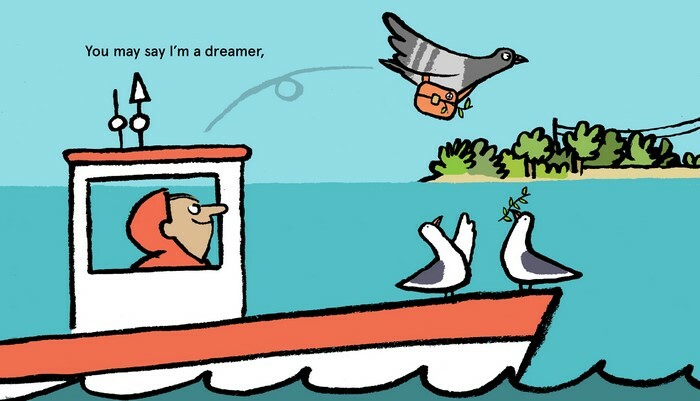 I never expected to see the song imagine become a childrens book , but what a wonderful idea. We love this book it teaches inclusivness and hope as does the song. He has worked for the New York Times, the New Yorker, The Guardian, Beams, RCA records, the Connaught, Colette, SZ magazin, National Geographic, Le Grand Palais, Le Centre Pompidou, Amnesty International, Esquire, Le Coq Sportif, Le Bon Marché, Hermès, Mr Porter, Champion USA, Salomon, Petit Bateau, Vogue, and more. He has shown work all around the world, from Paris to London, Los Angeles, New York, Berlin, Tokyo, Seoul, Bangkok and other places. 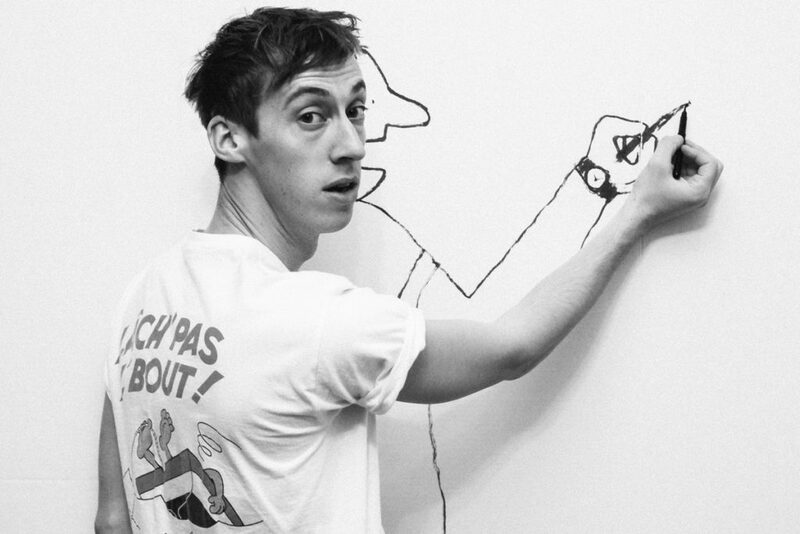 He’s published numerous children books with Phaidon, Walker Books and Comme des Géants. 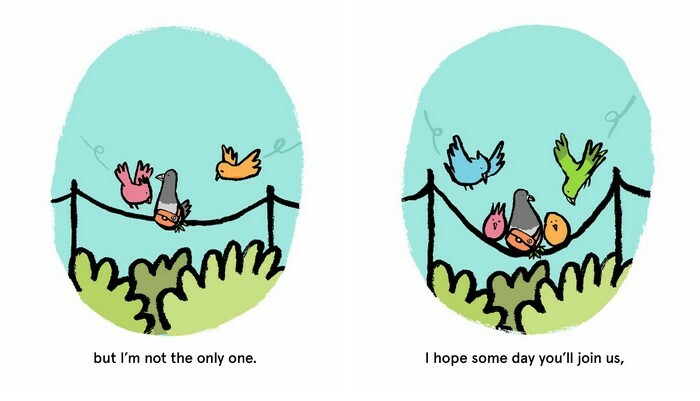 He has also published a monography and series of books gathering his humorous visual puns. In 2016, he created the brand Nounou with Jae Huh, a label producing a wide range of things, from clothing to dolls and rugs.